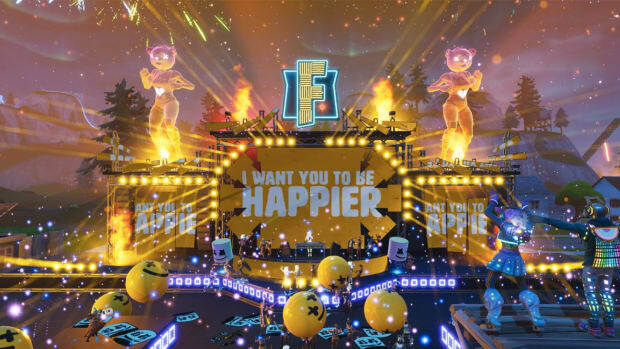 Saturday afternoon, Marshmello invaded the biggest video game in the world, Fortnite, with a live, in-game concert, attended by over 10 million players worldwide. Earlier in the week, it was reported that observant (see: obsessive) fans datamined the Fortnite application and found files and in-game assets relating to the dance music behemoth, Marshmello. Shortly after the leaks, it was announced that Fortnite would be hosting a Marshmello-themed event featuring in-game Marshmello items (including a full Marshmello skin that lets you play as the masked EDM star himself) and a live performance from Marshmello at the Pleasant Park section of the Fortnite map. 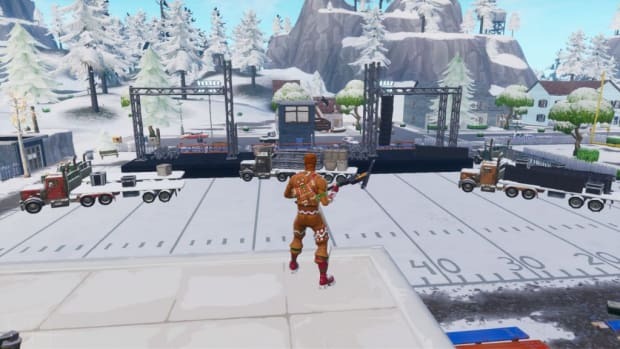 The concert was presented in the form of a Fortnite Limited Time Mode (LTM) called Showtime. LTMs are events that modify the rules of the base Fortnite experience for a predetermined amount of time. For example, this weekend in honor of Super Bowl LIII players can participate in a NFL-themed event. Throughout the week, players in Fortnite could go to the Pleasant Park section of the map and witness the stage being constructed for the show. When the Showtime mode was enabled, players were urged to drop in at the Pleasant Park location to join in on the festivities. 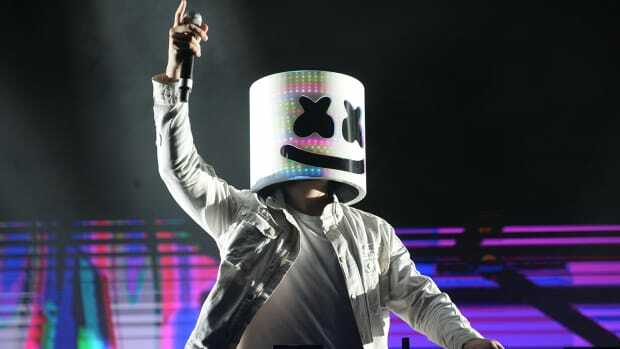 At the show, Marshmello performed a ten-minute medley of his biggest hits including his breakout single "Alone," his collaboration with Logic, "EVERYDAY," and his chart-topping hit "Happier" with Bastille. 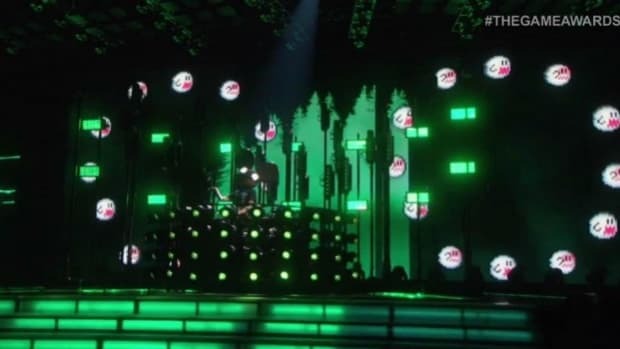 During the performance, players were treated to some of Marshmello&apos;s real-life stage visuals, fireworks, and lasers, alongside giant holograms with gravity altering effects possible only in the digital world. The result was the a glimpse into the future of dance music&apos;s relationship with video games. For almost three decades, dance music has been in a loving relationship with video games and some of the biggest names in the genre, like Skrillex and Zedd, alongside Marshmello&apos;s masked brothers-in-arms, Daft Punk and deadmau5, have made appearances in a wide variety of video games. The Fortnite extravaganza was not Marshmello&apos;s first crossover into the video game world. 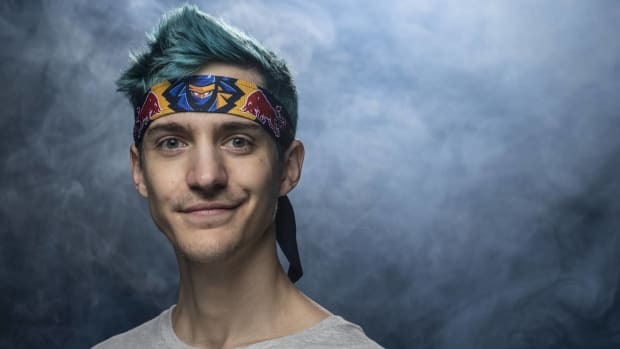 While teamed-up with the biggest Twitch streamer in the world, Ninja (who recently released an EDM compilation album), the duo would go on to win last year&apos;s Fortnite Pro-Am tournament beating out fellow EDM producers Dillon Francis, Arty, and Drezo. 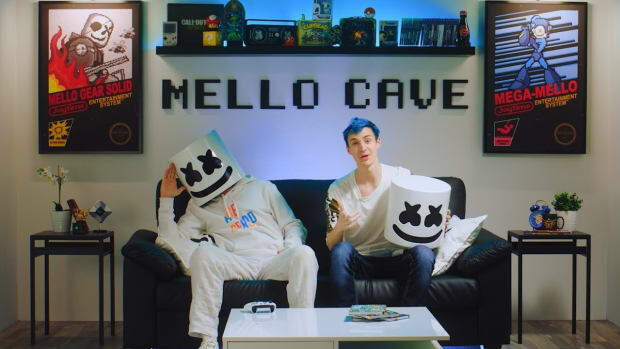 Along with the aforementioned appearances and crossovers, Marshmello operates a gaming channel on YouTube where he plays alongside some of the biggest names in gaming and beyond. Marshmello and his manager, Moe Shalizi, have never been afraid to explore outside the realm of dance music. Marshmello has become so much more than just a producer, hell, he even competed on American Ninja Warrior. Whether or not you&apos;re a fan of Marshmello&apos;s music, his contributions to dance music should be commended. 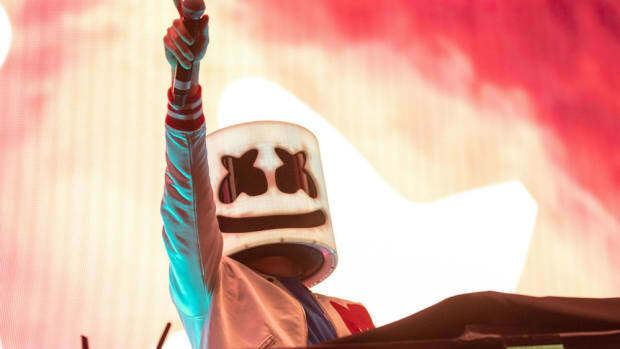 Over 10 million concurrent players participating in his event, combined with the fact that Fortnite is smash hit with kids and teens, means that Marshmello may have given these younger players their first taste of dance music and in turn, may have created the next generation of dance music fans.